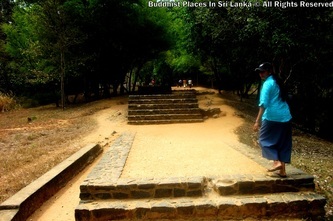 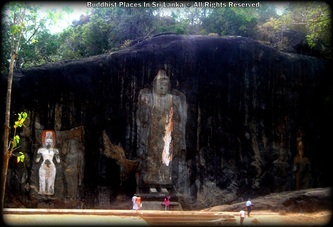 Buduruwagala is an ancient Buddhist temple in Sri Lanka. The complex consists of seven statues and belongs to the Mahayana school of thought. 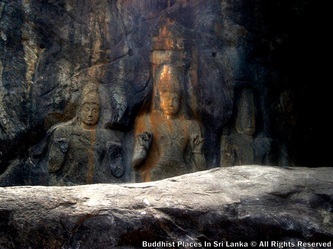 The statues date back to the 9th century. The gigantic Buddha statue still bears traces of its original stuccoed robe and a long streak of orange suggests it was once brightly painted. 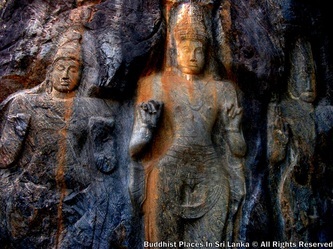 The central of the three figures to the Buddha's right is thought to be the Buddhist mythological figure-the Bodhisattva Avalokitesvara. 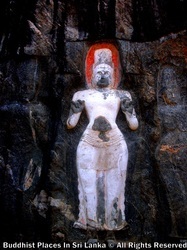 To the left of this white painted figure is a female figure in the thrice-bent posture, which is thought to be his consort-Tara. 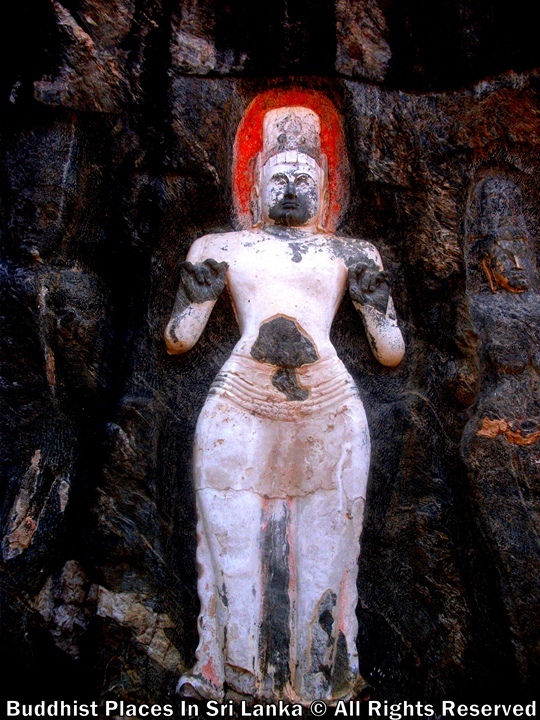 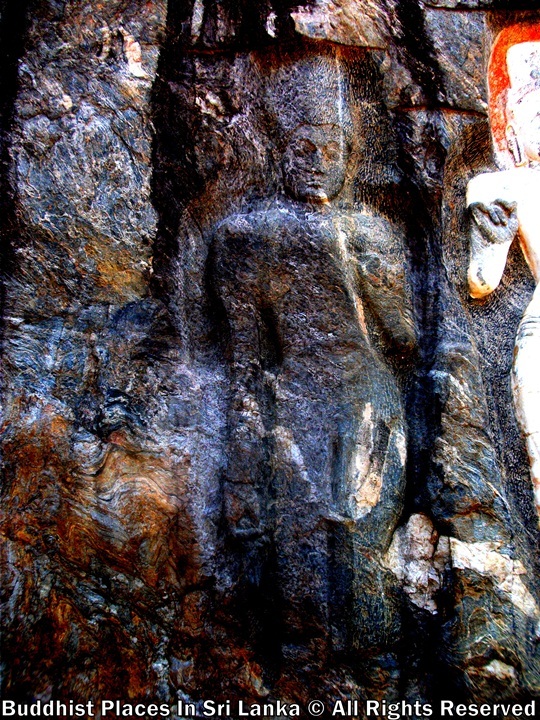 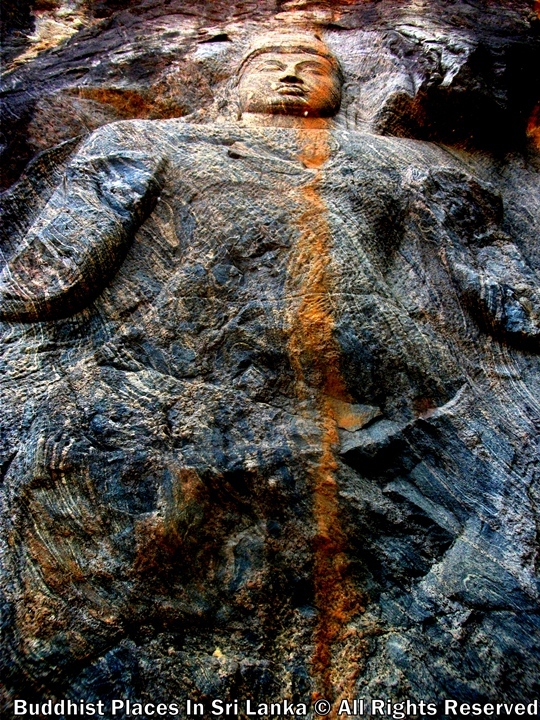 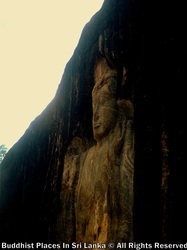 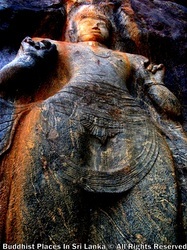 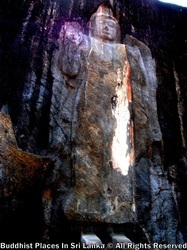 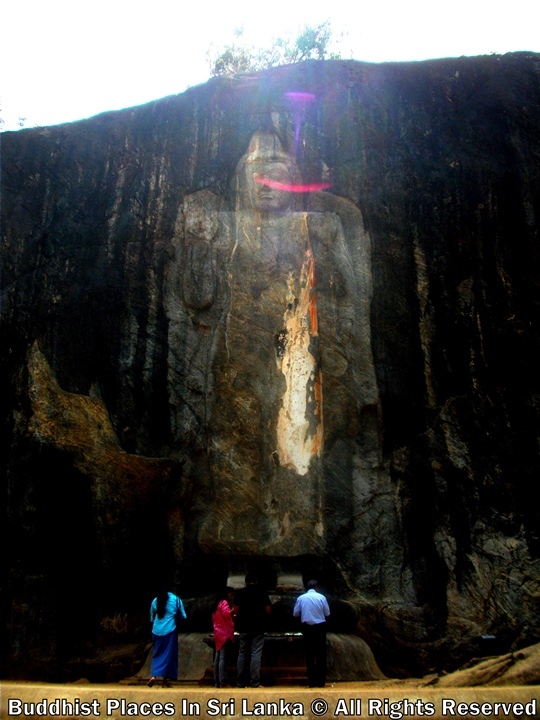 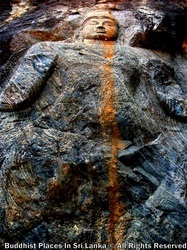 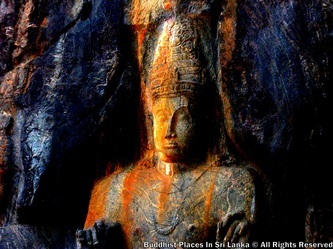 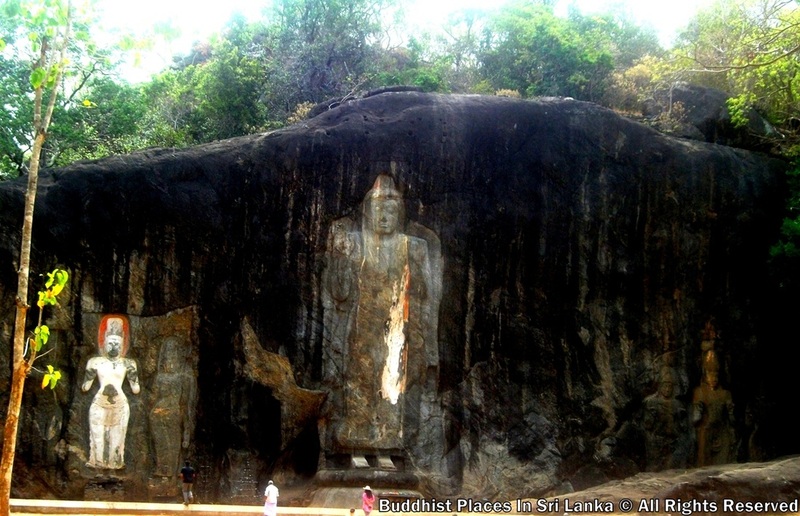 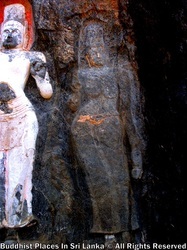 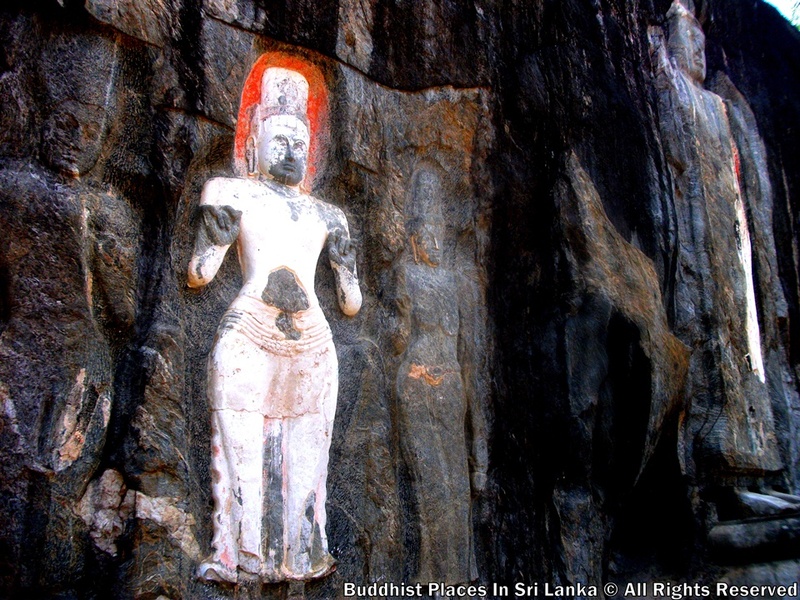 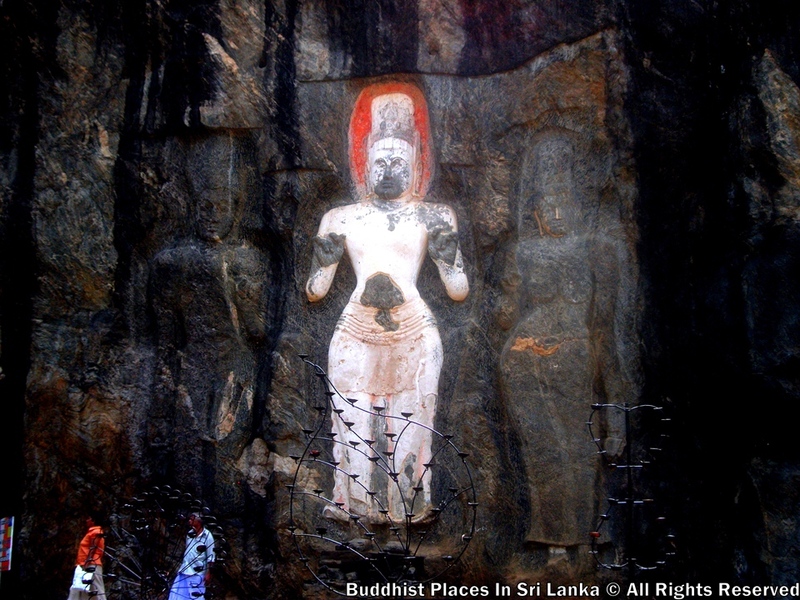 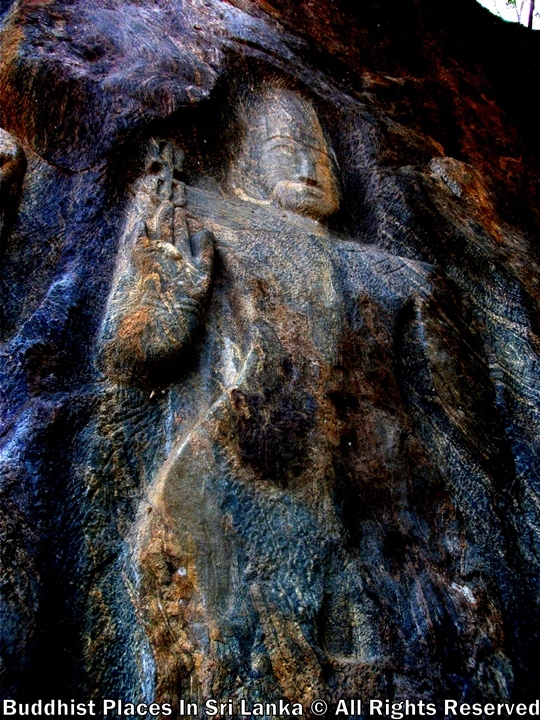 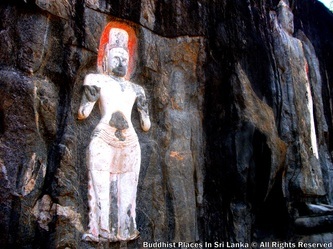 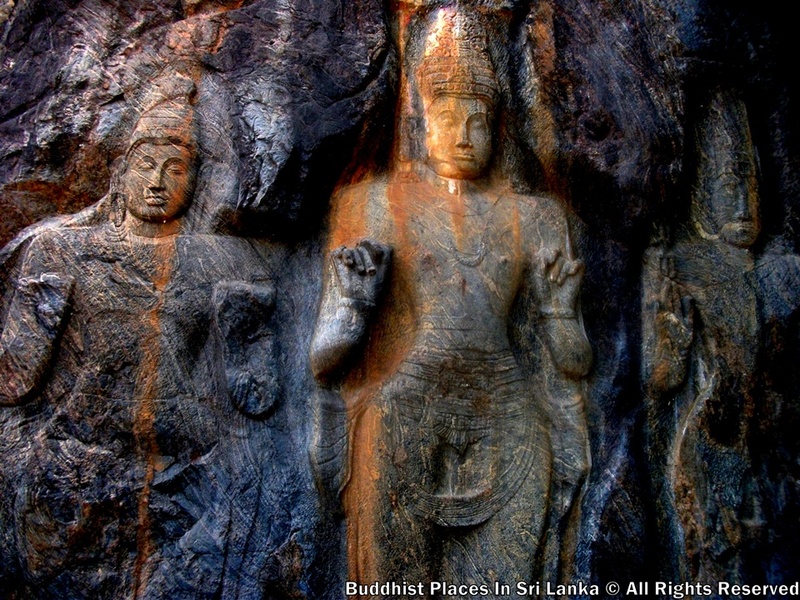 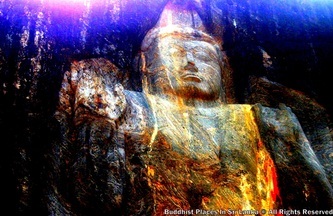 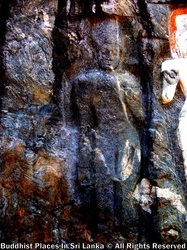 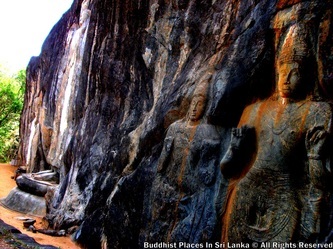 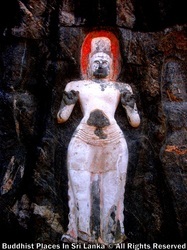 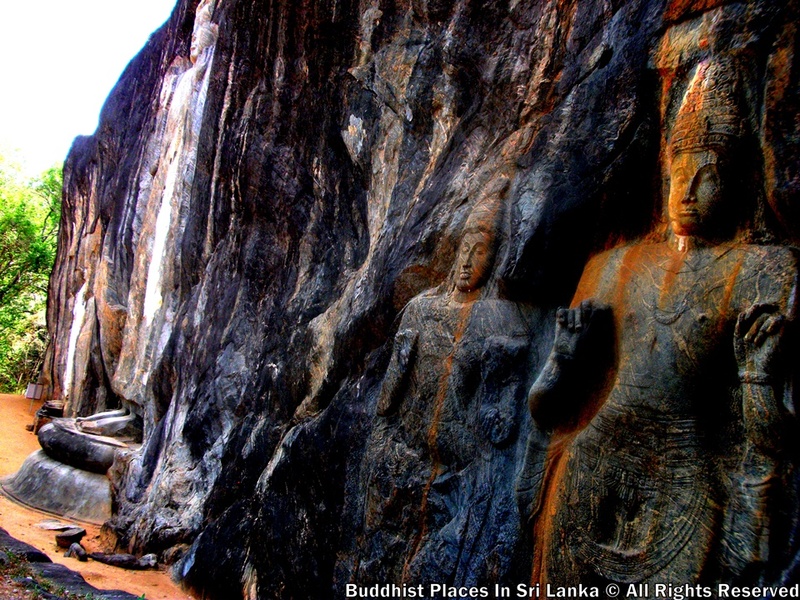 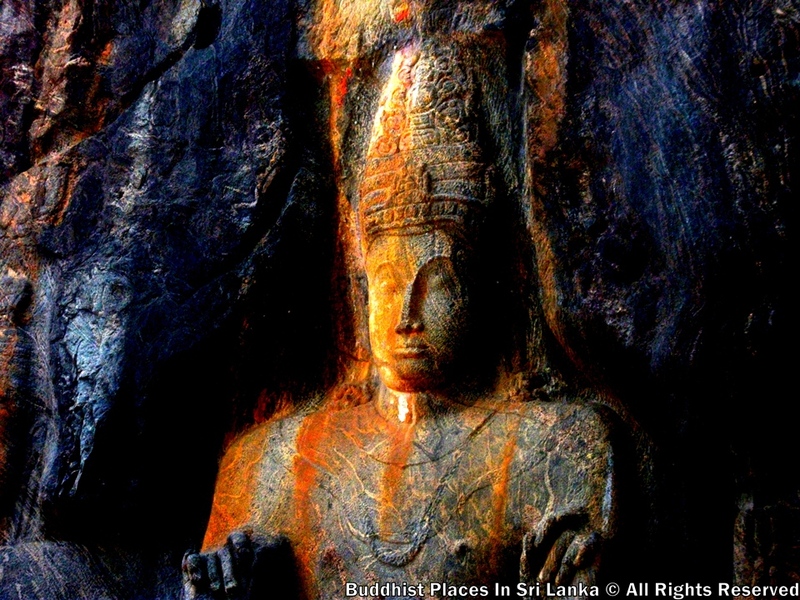 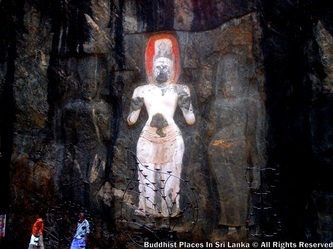 Buduruvagala means "the rock of Buddhist Sculptures". 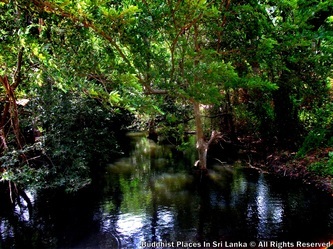 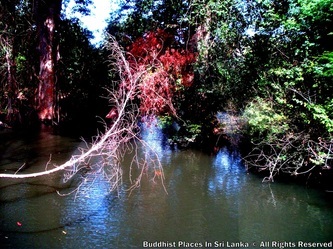 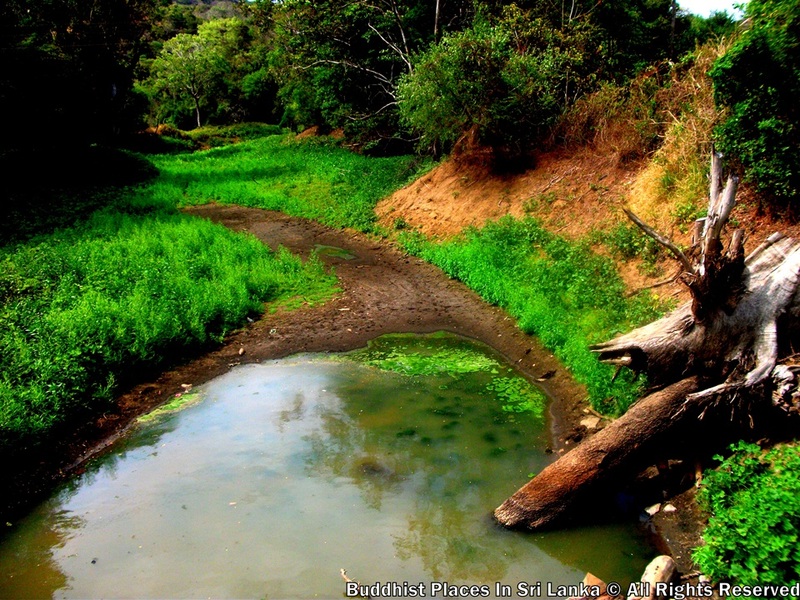 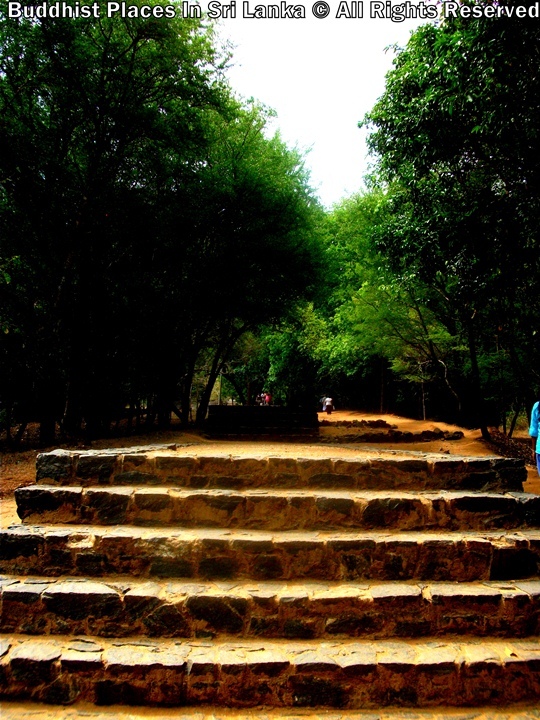 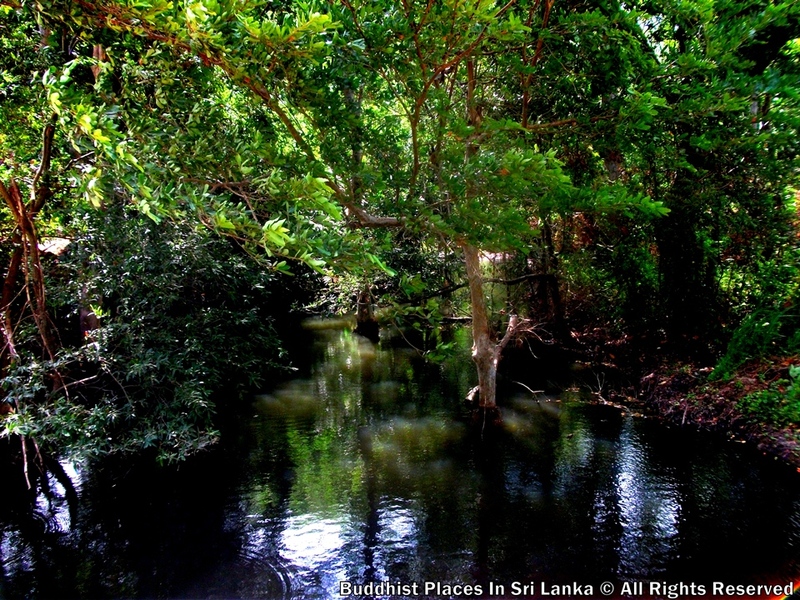 Buduruvagala is located about 4 miles (6.4 km) southeast of Wellawaya in Monaragala District. 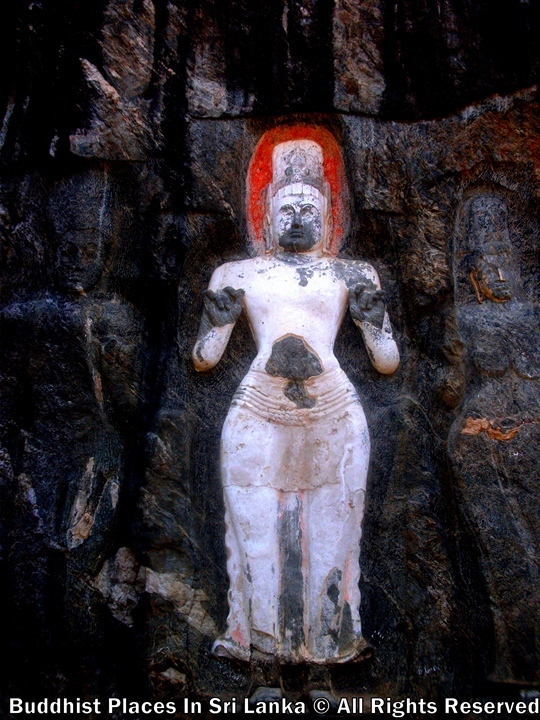 Buduruvagala does not have much historical records. 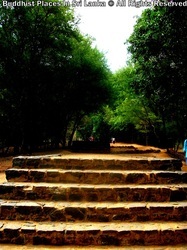 Even its original name is unknown. 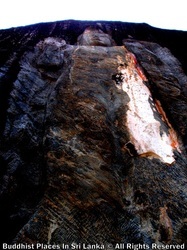 It is thought to be a hermitage for monks. 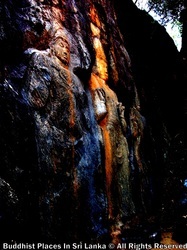 The inside wall of this carved shape is always wet of an oil that smells very much like Mustard oil. 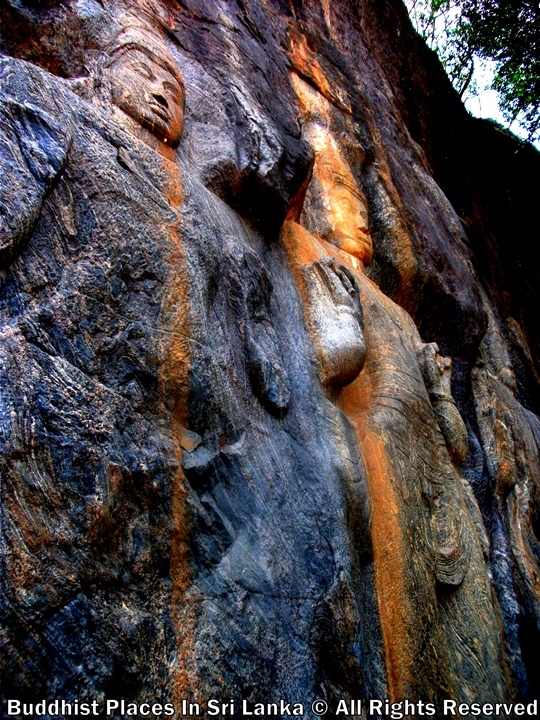 This oil comes to the carved shape with no explainable source or reason.